Yesterday four Israeli settlers (including a pregnant woman) were gunned down by Hamas gunmen in the West Bank. Naturally, the world has focused on how the atrocity is likely timed to derail US-sponsored peace talks aimed at ending the current stalemate. A few commentators have gone on to dwell upon the significance of a Hamas attack in Fatah-controlled West Bank (the Hamas-Fatah rivalry is a major faultline running through Palestinian politics). Yet once again we hear very little about another major feature of this crisis, namely its thoroughly theological nature. I don't know much about the settlers who were murdered, but we do know they come from the Hebron area, which has attracted some of the most religious of Jewish settlers seeking to reclaim land for theological reasons. Meanwhile, just several days ago Rabbia Ovadia Josef, the spiritual leader of the Sephardic political party Shas, expressed the hope in a sermon that the Palestinian president and any Palestinian who persecutes Israel would be struck down by God. For their part, the perpetrators of the slaughter of the four settlers - Hamas - are likewise driven by a strong theological agenda: the total annihilation of the Jewish state and recapture of Muslim land. Israel's northern neighbour Hezbollah, of course, takes a similar line, as does Iran's presient Ahmadinejad. In short, despite the views of secularists such as Netanyahu, Abbas, Obama, Cameron and the EU that they can somehow make a difference, this is a thoroughly theological conflict for which there can surely be no wholly secular solution. At a conference exploring the conference last year I made precisely this point, only to be told confidently by a civil servant that once politics and diplomacy could get a foothold , once the necessary bait had been dangled and suitably pragmatic agenda (together with ensuing benefits and pay-offs) set out, the conflict could eventually be solved. I'm not so sure. Indeed, I think such a view is as short-sighted as that expressed by some Christians, who seem to think that a purely ethically-driven approach (much like the materialist, this-worldly views espoused by liberal Protestants of the late 19th and early 20th centuries) will somehow yield results and bring the conflict to an end. Perhaps, with the diammetrically-opposed theological views of major players on all sides, the pragmatic approach is to concede there may never really be a full resolution of this conflict after all. I agree it is theological, but I don’t see why that should lead to a conclusion that it is necessarily beyond resolution in light of the great commission to make disciples of all nations. It may be if people wish to fight, but I don’t think it is a given – sadly resolution sometimes comes only after costly warfare. There is perhaps some irony that the so-called liberals are the ones seeking to establish a stable and sustainable peace in the Middle East to give Jews and Palestinians peace and security, while some of those who say they love the State of Israel the most are driving for a conflict. And this is not even done naively - I have heard it preached openly that although the land belongs to the Jews and that they must be brought back, they will then be destroyed in the final battle with only 144,000 left alive, and that will be the catalyst for the final conversion of Jews worldwide to Christ. I do find this teaching to be rather muddled. I know Calvin you have said that your beliefs can allow an exchange of land for peace, which might suggest that there is at least some common ground between yourself and those espousing a sort of social-justice gospel. Personally I see two theo-logical possibilities. 1. Jews in Israel will undergo a spiritual revival and turn to Christ and seek peace with Palestinians. In this position it may be that God has desired a fresh influx of Jews into the land before he returns, but that God desires Jews, Palestinians and Arabs to live in peace with justice for all. 2. Jews have entered the land in disobedience and are seeking to gain God’s blessing apart from Christ, and like Jacob they are trying to fix their own blessing thus endangering their lives and the State’s very existence. I am tending to think at present that the second position is the correct one, but would be more than happy if option one turns out to be true. I hope you're right about a resolution, but personally I don't see Hamas or Hizbollah ditching their theology whatever Israel agrees to (short of its own dissolution). Do you? Concerning the extreme Zionists you mention, of course there are fringe elements. I've also heard liberal Christians openly call for the dissolution of Israel. I'm unclear what you mean by "disobedience". Disobey whom? How? What if God has brought the Jewish people back to the land, that it is His plan after all? It kind of makes one wary of being overly dogmatic to the contrary, even to the point of siding with some of those who openly seek Israel's destruction, wouldn't you say? This is the deep concern I have for those Christians who so dislike, even hate, Israel. There is no room for compromise as far as many are concerned. Indeed, they are as guilty of determining God's mind as the very extreme Zionists they condemn. I would not want to put myself in such a position if there was the slightest chance I was going against God and siding with the enemies of His people. With all due respects to our Saviour. Jesus has not fulfilled all the promises to Israel, that is one of the reasons he was rejected as Messiah, however, at his return all promises will be fulfilled. When Jesus was quoting(Luke 4.18-19) from Isaiah 61.1-2, he stopped in between verse two, the completion of which will be fulfilled at his return: the rest of verse two and the following verses of Isaiah 61. Now if you treat the Holy Scriptures, and by that I mean what the gentiles have termed as the 'old' testament, but which is in fact the Holy Scriptures. When Paul wrote 'all scripture is profitable etc..(2 Tim 3.16) he was referring to what the gentiles call the 'old' testament, also remember that the 'new' testament (the apostolic writings) were not written (or completed) yet at the time of Paul's writing. To disparage the Jews for disobedience just remember the church is not pure as the driven snow. the nazis believed they were doing God's will when they were pushing those 'disobedient' Jews into the gas chambers. But if you look at the Holy Scriptures (the 'old' testament) as a catalogue, as one so wonderfully put it, where you purchase your 'Jesus' and now dispense with it because you have your 'Jesus'. It's obvious why you can even talk in a disparaging manner of the Patriarch Jacob whom God chose and called Israel after he won the blessing, and throughout the Holy Scriptures He calls himself the God of Israel ie Jacob. But because you have been taught for so long that your reward is in heaven (the teaching of Pie in the Sky when you Die) you remain passive and without passion to fight for anything worth fighting for but are more than willing to compromise, appease and give it all away, because you will have pie in the sky when you die! But it is here on earth/land where Christ will reign: specifically from Jerusalem, the real one situated in Israel that is Israel's capital city. And you the gentiles are guests in the house of Israel, you don't own the house, you have been graciously engrafted onto Israel. Paul warned not to be haughty, it is not you that holds up the roots. As for disobedience: 'I do this for my own name's sake' - the regathering of Israel back to their own land (Ezekiel 36.22-28) It has never been moslem land, they were only occupiers like many others before them, ie the Babylonians, Roman, Crusaders, Ottomans and even the British for a short while. A careful reading of Ezekiel 36.22-28 will show you that Israel will be brought back to the land in disobedience only after when they are in the land does the Lord cleanse them! I don’t see either side really committed to a peaceful settlement Calvin. Netanjahu and the Israeli government seem increasingly intransigent about settlements. Hamas’ hard line approach seems militarily irrational as well as unhelpful to Palestinians. Hizbollah is in a stronger position militarily, but their intransigence is not furthering peace. You label the position I referred to as extreme Zionism, but if I were to mention names (which I don’t want to do) many Christian Zionists would not see them as extreme, but mainstream. As for disobedience - according to the Law of Moses Jews were not allowed into the land without repentance and the turning back to God. How should we address this problem? On the question of fear - I can recall thinking in the past that I could not support, for instance, the UK government ever going to war against Israel. I had heard it taught in church that the State of Israel had the blessing of Abraham and we would be cursed if we curse Israel. However, I was increasingly troubled by the question of spiritual fruit from a State that rejects the Messiah. So I was fearful, but troubled theologically. This led me to study the New and Old Testaments in greater depth, and I asked some questions. Such as is all of Paul’s teaching in Romans, Galatians, Ephesians (& Hebrews -Eusebius believed Paul wrote it in Hebrew) relevant to the modern situation? I found for instance that the blessing given to Abraham has come upon the gentiles through Christ (Gal.3:14) and that old Jerusalem is like the slave woman Hagar (Gal.4:25). So a different fear grew in me; that perhaps Christian Zionism is falling into the sin that Paul condemned where we are giving the Messianic inheritance back to Hagar – Paul writes this; ‘…the slave woman's son will never share in the inheritance with the free woman's son’ (Gal. 4:30). However, ‘Israel-of-the-flesh’ is still loved by God even in divorce ‘Therefore I am now going to allure her…I will betroth you to me forever; I will betroth you in righteousness and justice, in love and compassion’ (Hosea 2:14,19). So I believe that our Christian duty is to love Jews and seek to bring their own gospel to them while working for their peace and security. It is possible that we will fail in this task before disaster comes upon the State of Israel, but there is much to pray and work towards. My concern is that popular forms of Christian Zionism are misreading Scripture and not engaging in the biblical mandate for the Jewish people. "According to the Law of Moses Jews were not allowed into the land without repentance and the turning back to God." But Andrew, by quoting a passage relating to Israel from the OT this way, surely you fall into the very hermeneutical trap supercessionists argue Christian Zionists fall into, namely, drawing on the pre-Messianic Scriptures to support their view that God retains a plan and purpose for Israel. You're doing exactly the same here to support your own view of Israel. You can't have it both ways. I also think you need to disengage the State of Israel from the Jewish people, conceding too that many Evangelicals on my side of the debate do likewise. Simplistic labelling of all Christian Zionists as extremists, or the view that all those who challenge supercessionism also somehow support Israel uncritically, are unsophisticated. I've pointed this out various times, but you seem set upon portraying this as a black and white, polarised issue where anyone who even mildly supports Israel is somehow an extremist. I thought you had moved beyond such stereotypes to reflect a more nuanced position, but now I'm not so sure. But Calvin, are you assuming that I am antinomian? Instead I believe that Christ fulfilled the law through his life and in his death, and that God writes the law on our hearts so that our desire is to love and serve others – the law of the Spirit of life. We still have to enter into God’s kingdom of Israel (the Church I believe) through repentance and faith (Acts 2:37-38). I don’t think I am trying to have it both ways, but simply saying that there seems to be a problem for Christian Zionism that needs to be answered, even some Torah Jews recognise the problem. I have a great deal of time for the Old Testament Scriptures too. I think I am trying to disengage the State of Israel from the Jewish people and believe that they are still loved on account of the Patriarchs, as previously written, because of what the prophets said, and support evangelism towards them in that light. I am not trying to say that all Christian Zionists are extremists, but really calling for a debate about what popular level beliefs are acceptable and what are not. I fear there is a lack of moderate leadership at a grass roots level (which is why I tried to write something that was less political - with limited distribution success so far). I have previously said that I accept that your own position is moderate, but it would be helpful if the moderates such as yourself could develop some teaching material about where you think the boundary lies as to what theology is acceptable and what is not. Either you accept all Scripture (from Genesis to Revelation) as the inspired Word of God or not, you cannot pick and choose Scripture to suit your own world view. As for the biblical mandate for the Jewish people? what about Isaiah 62.6-7? who is the Lord referring to when He says 'and give him no rest, till He establish, and till He make Jerusalem a praise in the earth' ? Maybe God is far more gracious and kind to us than we ever give Him credit for, so maybe after 2000 years of exile it could be the time to favor Zion again? maybe. I would like to know what exactly is the 'problem' that christian zionism is purported to have, ? And are the 'Torah Jews' mentioned the same as Neturei Karta or other ultra-orthodox Jews who don't recognise the State of Israel and have sided with extremist forms of anti-zionists/antisemites? Chris - I have suggest in my book that Isaiah 62 is about Zion having a 'new name' (v2). This new Jerusalem is said to be a witness to the ends of the earth (v11) along with the coming Saviour, and the people of the new city will be called 'Holy' & 'redeemed' (v11). I think it speaks of the Messianic / Christian community under Christ. Andrew thank you for your reply, I would like yo know who are the Torah Jews that a have a problem with Christian Zionism & what is that problem purported to be? I know of Ultra-orthodox who do not recognise Israel & side with extemist elements in the PLO quarter. Isaiah 40: who is to be comforted & who is told to do the comforting? Also, when the Lord gives a new name that does not mean for one moment that He is referring to a new place, it is the same place with anew name that reflects its renewed/redeemed & blessed character. As for John 15 I think it means you cannot build the kingdom outside of Him, I don't think it means that a person or people cannot benefit mankind by their efforts & on judgment day God will try everyman's work by fire, in the meantime it is our duty & privilege to warn our fellow man of the coming trials & blessed return of our Lord. This is part of their mission statement. 1.Zionism, by advocating a political and military end to the Jewish exile, denies the very essence of our Diaspora existence. We are in exile by Divine Decree and may emerge from exile solely via Divine Redemption. All human efforts to alter a metaphysical reality are doomed to end in failure and bloodshed. History has clearly borne out this teaching. 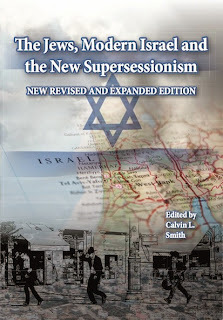 2.Zionism has not only denied our fundamental belief in Heavenly Redemption it has also created a pseudo-Judaism which views the essence of our identity to be a secular nationalism. Accordingly, Zionism and the Israeli state have consistently endeavored, via persuasion and coercion, to replace a Divine and Torah centered understanding of our people hood with an armed materialism." Thank you Andrew for the information and link. Very interesting, though I do not consider zionism to be a new phenomenon, Only recently the song group Boney M was warned not to sing the song 'By the rivers of Babylon' lest it offend the Muslim audience, due to its references to Zion from the book Psalms number 137. So I ask how Torah true are they? Andrew, their ideology is very utopian but far from realistic, I'm afraid in the world we live in no one is going to hand it to you on a plate, or waiting around for 'divine intervention' . God helps those who help themselves, but as I said before because of the teaching of 'pie in the sky when you die' it causes men to lose heart for this world because they are too busy waiting for the next one, but anyone who realizes the value of life on this side of 'heaven' will have more enthusiasm to fight for the things that are precious, like ones family, home and dare I say land. Unfortunately in this age/world we have yet to reach that point where we will turn our swords into ploughshares, how I could wish that all we had to do was to sit around and wait for divine intervention!